The early town grew in importance because of its situation on the River Wey. It was a resting place for pilgrims on the medieval Pilgrims Way. Later the town was a coaching stop on the route from London to Portsmouth. The Angel Inn, a medieval timber-framed building on the High Street, remains a hotel to this day. The canelised River Wey carried goods and people to and from Guildford from 1651, and today the National Trust visitor centre has information about life on the water. The London and South West Railway arrived in 1845, connecting the town with London via Woking. For a great view of the town and surrounding countryside look out from the visitor platform of the Great Tower in the medieval Castle built on the orders of William the Conqueror. The castle fell into ruins in the middle ages, but the Great Tower is still interesting. The town grew on the wool industry and produced its own cloth, Guildford Blue. To make it they used local wool and local woad. 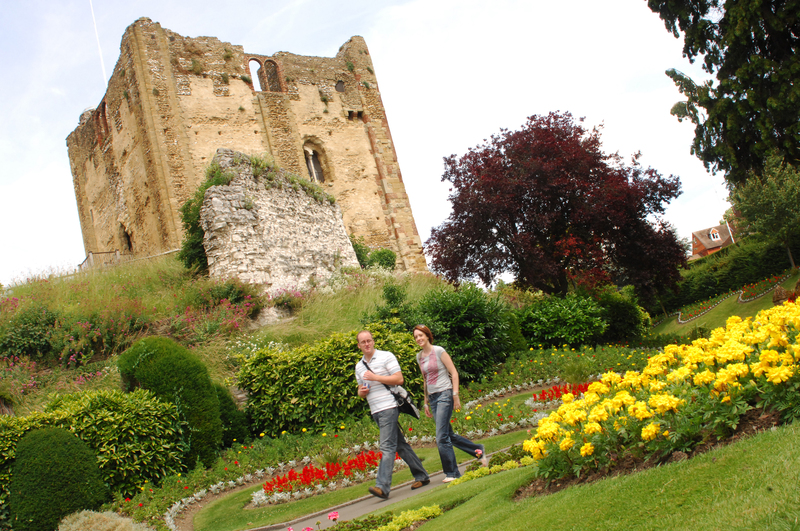 Regular annual events include The Guildford Festival Craft Fair, monthly Farmers’ Markets, Guildford Cricket Festival, Guildford Lions Raft Race, Drama in the Castle Grounds, and classical concerts all return for summer 2018. There will be a whole host of theatre, sport, art, music, walks, heritage, tours and days out to keep visitors and residents busy over the summer months. Two events making a welcome return in 2018 are the free Alice Day in the Castle Grounds on 6 August, and the Cheese and Chilli Festival on Shalford Park in July. 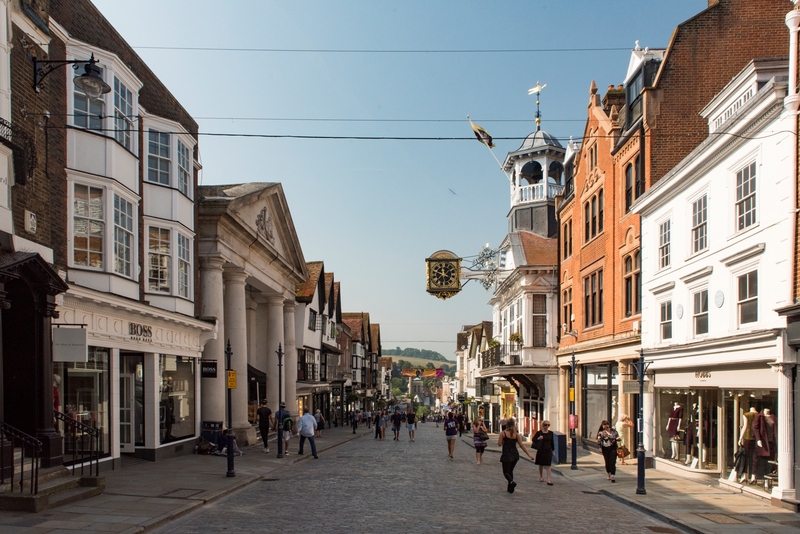 Guildford Town Guides have a programme of guided tours throughout the late spring and summer months and will arrange tours for groups. Listed among their tours is Alan Turing, the father of computer science, who grew up in the town. The Cathedral is an unusual modern Cathedral; one of the two Cathedrals built on a new site since medieval times. The building began in 1936 but ceased during WW2. After the war, 200,000 supporters bought bricks at £1 each to raise funds to complete the magnificent building. The Cathedral was consecrated in 1961. Guided tours can are available from April. Arts and Heritage, events are in abundance with the annual Guildford Arts exhibition at the Mill Studio, Watts Gallery, Guildford House Gallery and Guildford Museum having lots of events that ensure you have something to do on a rainy day. Compton between Godalming and Guildford is a delightful hamlet in an Area of Outstanding Natural Beauty. The village boasts 31 listed buildings and two conservaton areas. Withies Inn is on Compton Common, near to the Hog’s Back and Loseley Park. The Inn, which is now a restaurant, dates from the C16th. Loseley Park is a historic home in beautiful gardens and the home of the More-Molyneux family since 1562. There’s a tithe barn with ancient oak beams, and a pleasant walled garden, chapel and a shop. The Groups Coordinator will help you to plan your visit. 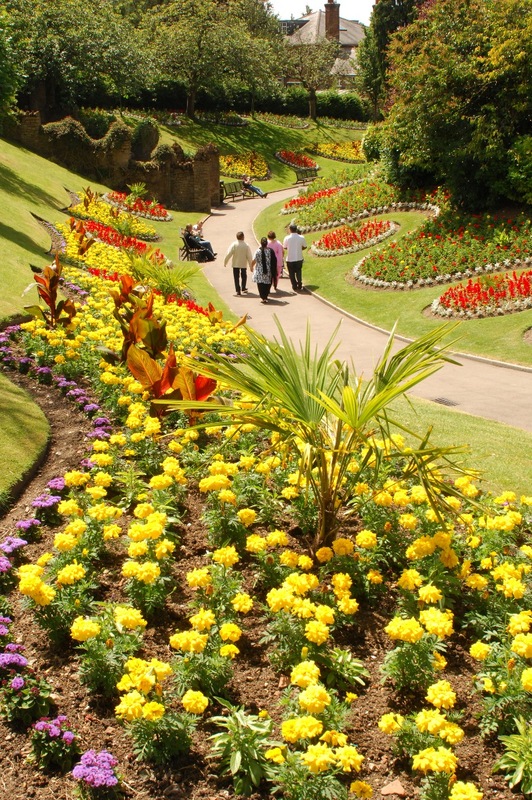 If your group has a special interest in gardens, why not book a tour of the gardens with the head gardener? G F Watts Gallery George Frederic Watts OM, RA (1817 – 1904) was great Victorian painter and sculptor. He married Mary Watts in 1886 and began a strong artistic partnership. Mary Watts was a renowned designer herself. She founded the Compton Pottery (1900) and designed Watts Chapel. The Grade I listed Chapel was consecrated in 1898 and is still the village parish chapel. The cemetary surrounding the Chapel is Grade II and has exceptional Arts and Crafts movement gravestones. Nearby is Watts Gallery – Artist’s Village, a unique Arts and Crafts Centre. Visitors can make a day visit and take advantage of the combined offer of Loseley park and the Watts Gallery or Guildford Cathedral. At the end of a winding cobbled footpath, St. Nicholas C10th church has a unique two-storey chancel. The chancel and the tower pre-date the Conquest. The walls have some early ‘graffiti’. And, there is an anchorite’s cell. The village lies on the medieval Pilgrim’s Way from Winchester to Canterbury. Previous PostDerby has been in the middle of it all for thousands of years, boasting Bronze Age artefacts, to Neronian forts, and Georgian arts, there’s plenty for visitors to see and do. Next PostVisitWiltshire is producing a series of new guides for visitors to put the county on visitor’s map.